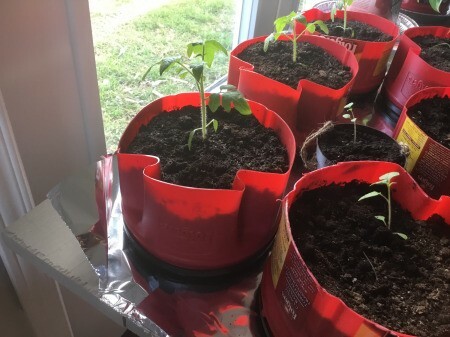 When starting tomato plants, I cut the bottom off of an empty Folger's coffee can. Then I poke some drain holes in the lid, put the lid on, and turn the can upside down. I fill the new pot with soil and plant my tomatoes. When they are ready to go into the garden I just take the lid off the bottom and the plant slides right out. What a great and functional idea! Thanks for sharing! 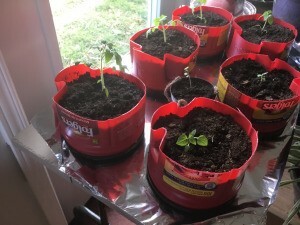 I can't thank you enough for giving me another use for my empty Folgers coffee cans. I have made bird feeders, bird houses, planters and container for raffle tickets.